Everyone deserves a park to play in. When Real Estate tycoon Mr Blackwood decides to destroy the city park to build a skyscraper, the city of Oakswood needs someone to stand up and fight for the environment. Meet Aychu, Guardian of the Green. 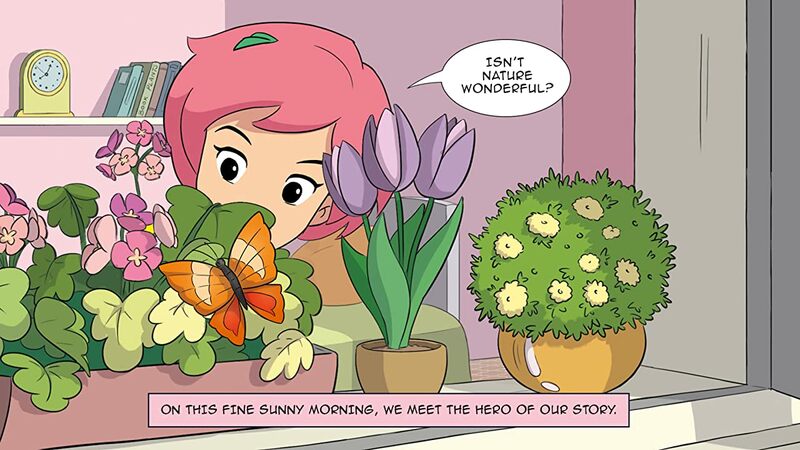 Equipped with a Magic Wristband she gets from a mysterious neighbour, Aychu Saves the Park follows the story of an eight-year-old girl as she learns to stand up for her beliefs, and be the voice the environment deserves. 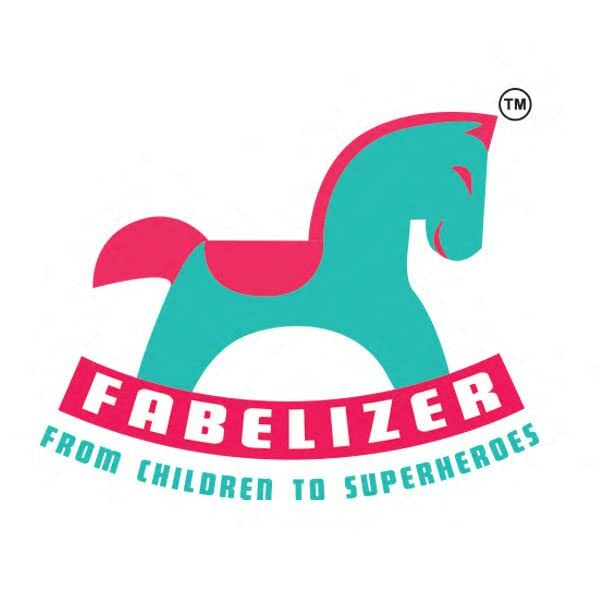 Who says little children can't solve big problems? Does Mr Blackwood have a secret? Is an Invisible Monster attacking the plants? 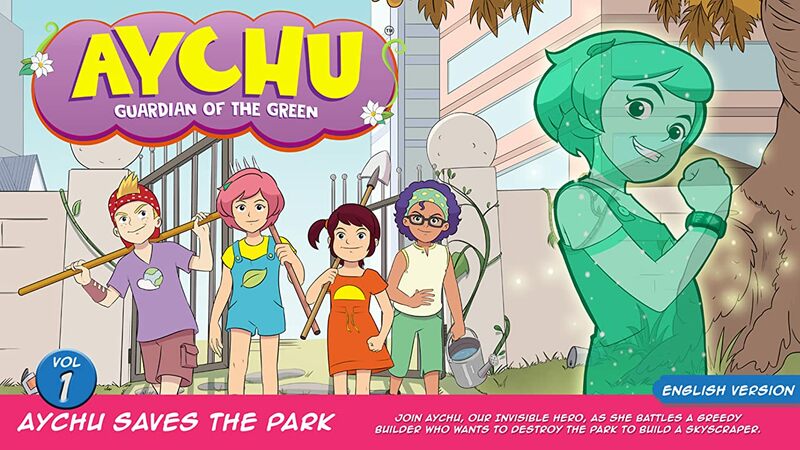 Will Aychu Save the Park? 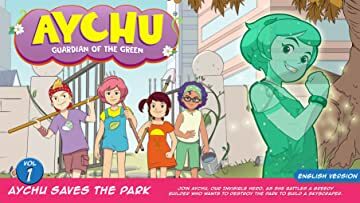 Aychu Saves the Park is the first of a series of books that follow the adventures of Aychu, Guardian of the Green, as she uses her power of invisibility to battle the enemies of nature. The city of Oakswood may be fictional, but the problems it faces are very real, as are the lessons that children will learn from Aychu. 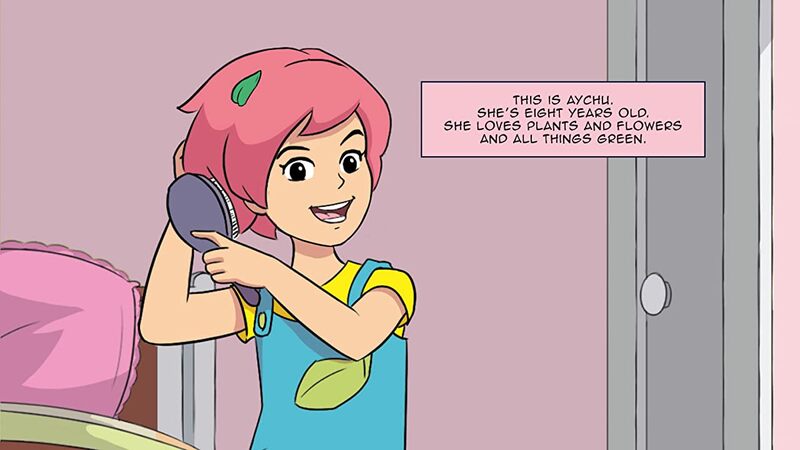 Aychu's adventures will teach children the joys of living Green and in harmony with the environment, inspiring them to become Guardians of the Green in their own little ways. All books in the Aychu,Guardian of the Green series are available in most of the major world languages.